Welcome to the Solan Realm. 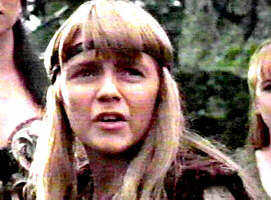 This is a website dedicated to the kiwi talent David Taylor, the original Solan from Xena:Warrior Princess. This site is an add-on to my main site, Darkness and Light. Pictures of Solan from each episode he appeared in, also picture's from David's performances as Franco on Hercules and as Sasha in The Tribe. To link to this site, please use the following banner, then e-mail me and tell me where its being shown, then I'll link to you from the links page if you like!